Entrepreneurs invest in real estate because they know that the return on investment in much higher in real estate than investing their money in the bank. 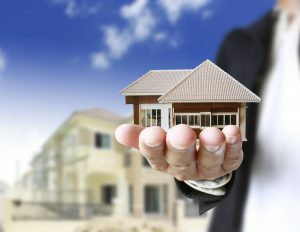 However, there are few tips that entrepreneurs should keep in mind when investing in real estate. Plan your financial goals – Before investing in real estate, it is best to analyze what you expect from your investment. When conducting your analysis, look at the time you are willing to hold your asset in comparison to the return you will receive. Don’t only look at learning – Learn the basics about real estate investments and then compare them with the goals you want to achieve. If you have any specific areas you need clarification, look at searching for this information online or delve into a book or a seminar. Avoid postponing your investment program – Avoid waiting for that perfect deal as it may not happen. Perfect deals rarely exist. Instead look at if your investment meets your goals. Do a thorough financial analysis – Once your analysis is complete, look at these details as guidelines to determine your price and your terms. Avoid buying a property that the seller is not motivated to sell – If a seller is not motivated to sell their property, the chances are that the price of the property will not suit your financial goals.